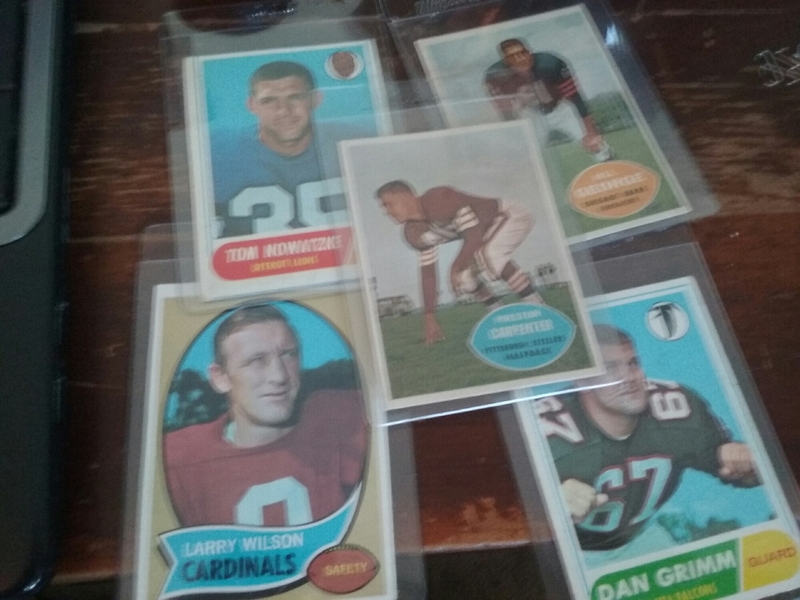 I was given the option of taking football packs or multi sport packs. The last thing that I wanted was another event used football card so I grabbed the multi sport. The packs don’t say the odds but I know that while it might seem like everyone pulled a relic from their packs, that is far from the case. 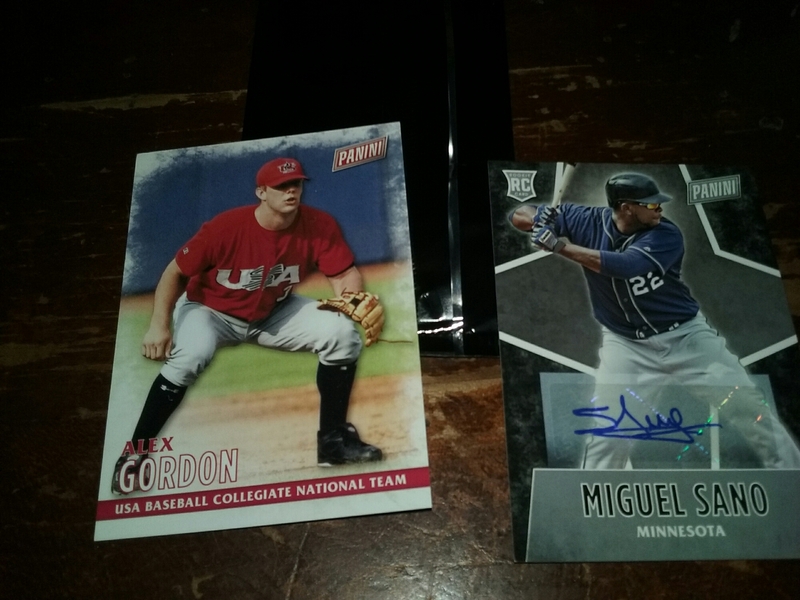 I am not sure about the design of the base cards, then again Topps 16 baseball showed us how to do a winter design. Overall though, I can’t complain. 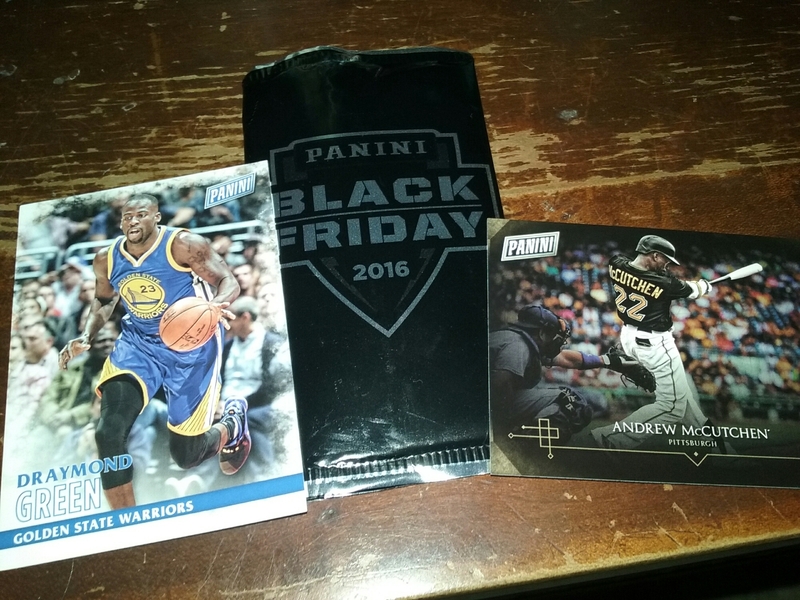 I want to give a shout out to the people who are not hoarding their Black Friday and Cyber Monday packs. Those that are, and it appears that there is a lot of them, need to grow up and realize that they are killing the hobby. We are doing a giveaway that ends tonight on Twitter. Wolverine Studios has graciously offered to give away a copy of their game to a collector. All you have to do is follow me and Wolverine Studios on Twitter, and RT the giveaway post below. It’s that simple. Good luck. This is a review for a game. I do not like video games. I strive to be productive, so when a game breaks past my wall, it must be pretty good. Draft Day Sports Pro Basketball by Wolverine Studios is one of my all time favorite games that I have ever played. I am sharing this with you because it is a game that I know a lot of you have the potential to enjoy. I can’t tell you how many nights I lay down with the laptop to relax and fall asleep playing this game because it mellows me out after a hard day. So what is it? A simple game where you play General Manager and/or coach of a a basketball team. Simple is the key word of this game. It is simple, straightforward and clean. An awesome feature is that you can go back and play historically. I personally like the option of expansion. I am currently trying to create a dynasty with my expansion Grizzlies team. You can also redo the 1984 and send Michael Jordan to your team. Feel that is too easy, then how about randomizing the potential of players when you play historically so Michael Jordan has the chance to play like A.C. Green; never thought that I would ever juxtapose those two together. Draft Day Sports Pro Basketball is the perfect option for those that want to play a basketball game without all the jazzy graphics. It doesn’t take a ton of computer space and runs pretty smoothly. The best part is, if you have a technical issue with the game after you buy it, support is readily available. The game is small enough that you will get that kind of hands on care. Heck, they even want to know if you have a technical issue so they can fix it for the next update. I love that type of care; and did I mention that the guy in charge of doing that is a card collector. Quick post for a lot of loot that put a smile to my face when I needed it. 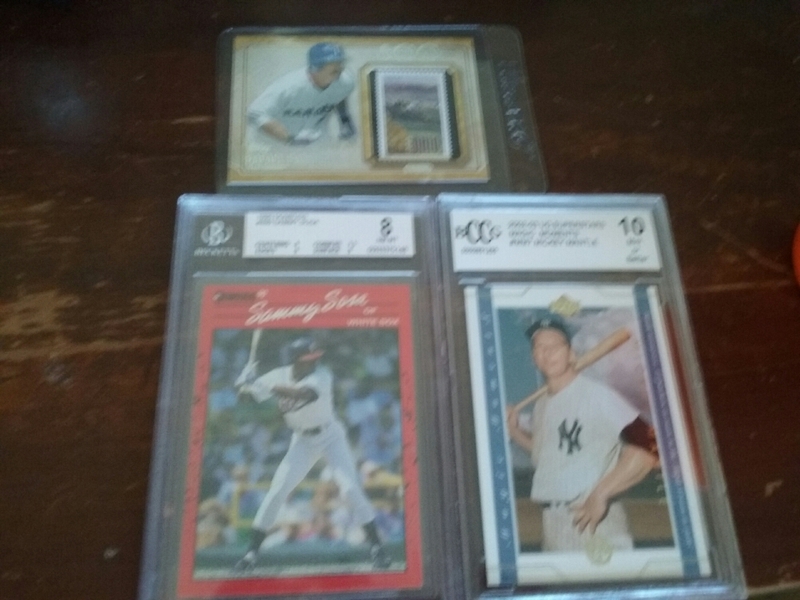 $6 for 5 vintage cards ranging from 1960 to 1970, Palmeiro stamp card, graded Sosa rookie, and a graded Mantle. It felt like value to me but upon inspection of sales on COMC, I got what I paid. As for some site housekeeping, look for a different kind of contest starting tomorrow on Twitter. From the Northridge Sports Collectibles bid board. Those of you that follow me on social media and read this site know that I don’t say ‘angry’ things lightly. As a lot of you know, I am a deeply religious person and a positive side effect of that is that I don’t say harsh things about anyone lightly. I have spent way too much energy on this company, and have sources backing me up on my accusations. For a company that I dealt with on Twitter, I have also found myself on the phone with them, so this extends beyond an online he said, she said. Lies from this company, however small they may have been added up to the point that I feel that I have to do this. However, you can also add some late night name calling on their part to this. Straight up my intentions for doing this post are to protect the hobby. I am forever thankful for how collectors made me feel on my birthday. This is a community that I want to protect. TLDR: Runs fake contests to promote Ebay sales. Messes with someone who they wanted to promote their company. I know that I am going to try and snag one. It looks like each pack is $5.50 with shipping included. Totally worth it.